Photo: Images and reports eventually trickled out as NATO-backed genocide unfolded throughout Tripoli’s streets, indicating the destruction of infrastructure and the specific targeting of black Libyans written off by the corporate media as “suspected mercenaries.” Benghazi rebels have been long reported to harbor extremist ideologies and an intense ethnic & racial hatred. 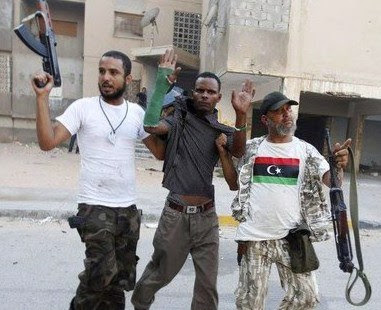 It would later turn out these black Africans were not mercenaries, but citizens who had lived in Libya for generations fighting desperately for their lives against sectarian extremists intolerant of their complexion and creed. Likewise, suspected “shabiha” are Syrians unwilling or unable, because of their ethnicity or creed, to capitulate to roving bands of foreign-armed sectarian extremists. CNN’s reports provide bookends to earlier admissions that large numbers of Libyan terrorists flush with NATO cash and weapons had headed to Syria with known terrorist commandersmaking the arrangements. 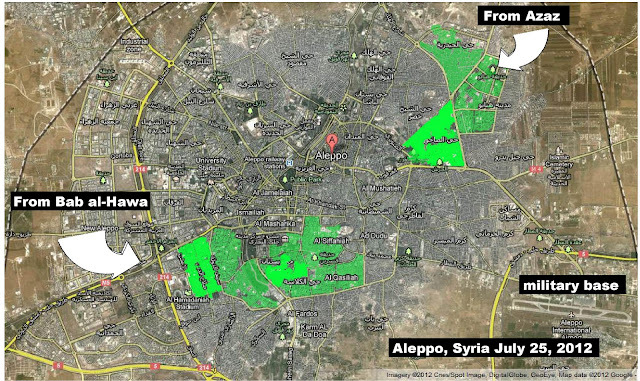 Image: An approximation of areas where fighting has been taking place in Aleppo, Syria. Clearly during the initial offensive by the FSA, they came in from 2 of the city’s main highways, both leading to the Turkish-Syrian border. 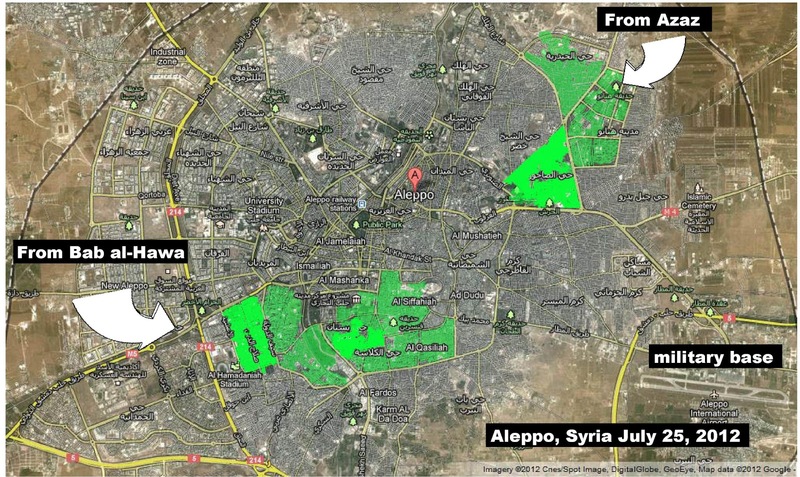 It appears that a large number of fighters have been trapped inside the center of the city, surrounded by Syrian military forces. 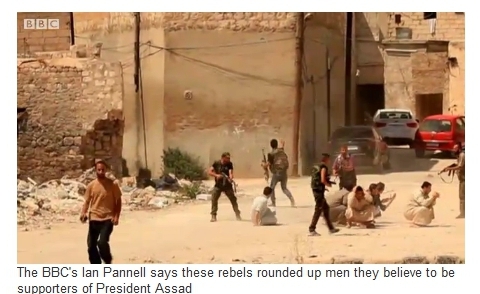 This was not an “uprising” but rather an invasion by armed militants from across the Turkish-Syrian border. It is unclear whether a significant number of additional militants are on their way. And it will be this corps of professional deceivers who continue their efforts to pave way for wider NATO intervention to fulfill US ambitions to carve out “safe havens” in northern Syria form which to prolong the current bloodbath.